In 1983, Hasbro representatives were sent to the Tokyo Toy Show in Japan to find new properties that they could import to the North American market. Toy manufacturer Takara (now Takra Tomy) was showcasing several of their transforming robot toy lines: Micro Change, a subset of their Microman line which featured robots that disguised themselves as action figures on Earth, and Diaclone, which had transforming vehicles and robots piloted by figures spun out of the Microman line. Hasbro bought the rights to the toys and partnered with Takara to bring them overseas (Diaclone was available before, but only in specialty toy stores). Rather than risk confusing consumers with multiple similar toys, Hasbro decided to combine the Microman and Diaclone lines into a singular concept as Transformers. Having found success with G.I. Joe: A Real American Hero through their partnership with Marvel Comics, Hasbro went back to the publisher with the task of creating a storyline for the toys as well as fleshed out characters. Then editor-in-chief Jim Shooter and writer Dennis O’Neil created the story, while editor Bob Budiansky developed the majority of the characters. 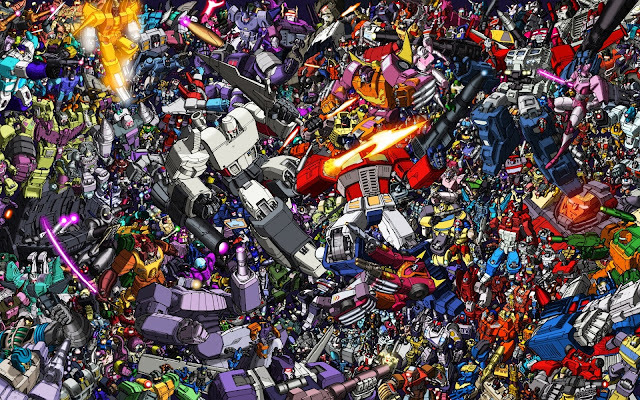 Transformers followed two warring factions of sentient alien robots from the planet Cybertron: the heroic Autobots and the evil Decepticons. Both sides could change from humanoid forms into various objects such as vehicles, devices and even animals. When the war had decimated Cybertron and made supplies scarce, the Autobots left the planet to find a new home with the Decepticons in pursuit. Both of their ships crash-landed on the planet Earth where they were rendered inert for millions of years. In 1984, a volcanic eruption led to the reactivation of the Autobots’ ship, which proceeded to repair the robots and give them new forms based on human technology in case humans turned out to be hostile. The Decepticons were also revived, and the war began anew with Autobots taking on the additional task of ensuring humanity’s safety and that Earth doesn’t suffer Cybertron’s fate. 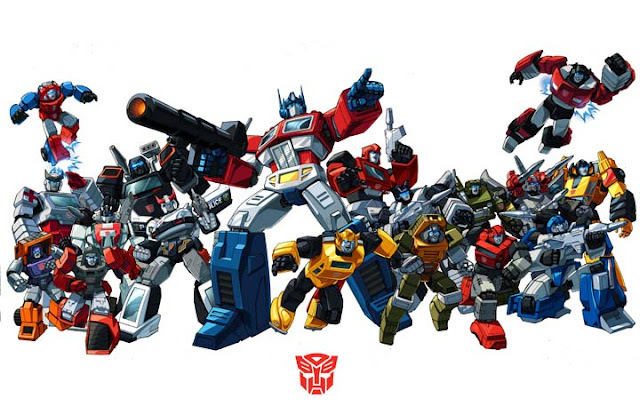 The Autobots were led by Optimus Prime, who transformed into a 1980 Freightliner COE tractor trailer with a trailer that served as a mobile headquarters. Their initial line-up consisted of gunner Bluestreak, a Datsun Fairlady 280ZX; scout Hound, a Mitsubishi J59 Jeep; security expert Ironhide, a 1980 Nissan Onebox Cherry Vanette; special operations expert Jazz, a 1981 Porsche 935 Turbo; spy Mirage, a Ligier Js11 Formula 1 Racer; military strategist Prowl, a Datsun Fairlady 280ZX Police Cruiser; medic Ratchet, a Nissan Onebox Ambulance Vanette; warrior Sideswipe, a Lamborghini Countach prototype similar to a LP500S; Sideswipe’s twin brother Sunstreaker, a Lamborghini Countach LP500S; defense strategist Trailbreaker, a Toyota Hi-Lux 4WD; mechanical engineer Wheeljack, a Lancia Stratos Turbo #539 “Alitallia”, demolitions expert Brawn, a Land Rover Defender 4X4; espionage expert Bumblebee, a Volkswagen Beetle; warrior Cliffjumper, a Porsche Turbo 924; transport and reconnaissance expert Gears, a 4WD off-road truck; construction engineer Huffer, the cabin of a semi-truck; and warrior Windcharger, a Pontiac Firebird Trans Am. On the Decepticon side, they were led by the sinister Megatron, who could change into a Walther P38 handgun, a particle beam cannon, or a telescopic laser cannon. 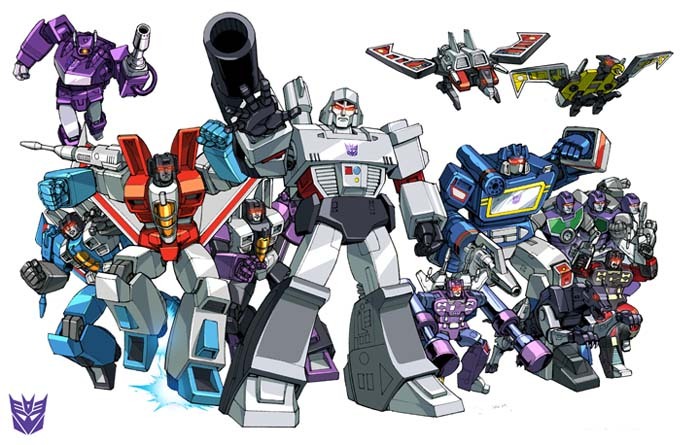 Under his command was communications expert Soundwave, who became a microcassette modeled after a Sony Walkman; spy Buzzsaw, a condor; interrogation expert Laserbeak, also a condor; saboteur Ravage, a jaguar; demolitions expert Rumble, yet another condor; and warriors Skywarp and Thundercacker, both of whom became F-15 Eagles along with their commander, Starscream. 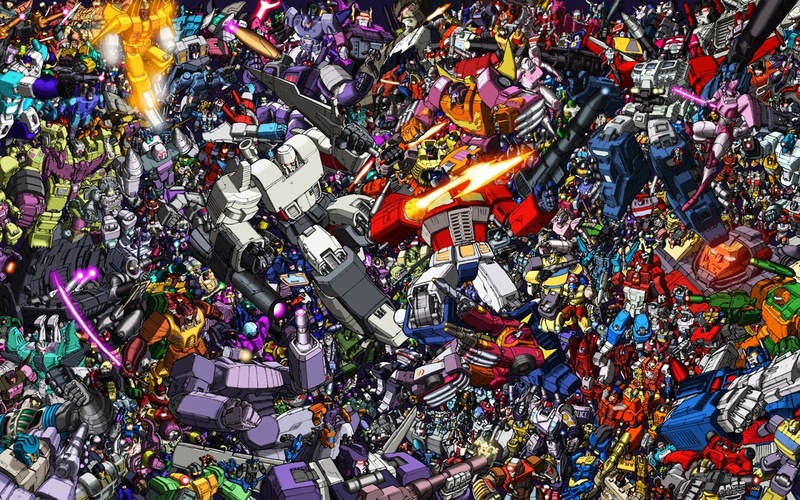 The first series of Transformers came with a mix of regular-sized figures and mini-figures. To save on production costs, Hasbro reused the designs for the characters with different paint or accessories (which is why there were so many condors, F-15s, and duplicate car models). As production of the line continued over the years, this practice began to become rare as each character got their own unique design; expanding from the initial Takara toy lines by licensing molds from other toys or by creating unique ones. Various themed subgroups also began to appear. #1 in an eventual 80-issue limited series. Emulating their marketing strategy from G.I. Joe, Hasbro commissioned Marvel to publish a comic series to showcase the story and help promote the toys. 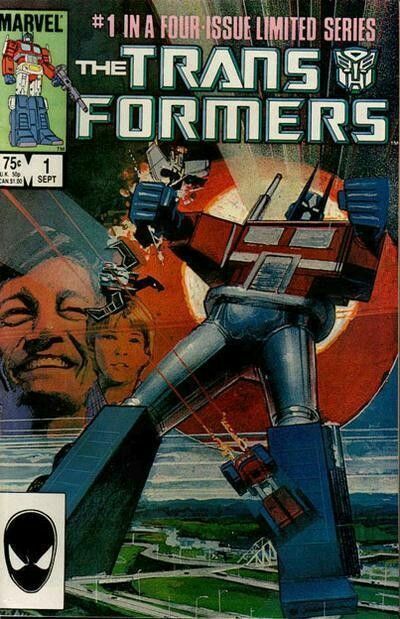 Initially, Transformers was to be a 4-issue limited series, but continued for 80 issues before it was cancelled (the final issue featured the tagline “80 in a 4-issue limited series”). Budiansky wrote a good portion of the issues. Overseas, Marvel UK ran their own series for 332 weekly issues that featured new stories amongst reprints of the American book. Simon Furman was the predominant writer of the new UK material, and his storytelling style led to him succeeding Budiansky as the writer of the American comic for the latter portion of its run. Both series spawned spin-offs and specials. The third portion of the marketing strategy involved having Marvel Productions and Sunbow Productions produce an animated series. Debuting in syndication on September 17, 1984, Transformers ran two seasons before taking a hiatus in 1986 for Transformers: The Movie. The Series returned following its events for a third and abbreviate fourth season before Sunbow lost the rights to the franchise.